In 1978, after a string of gruesome cannibalistic killings, Detective William Sanders successfully brought the deformed killer known as Gore to justice. It is now 2009, thirty one years after the murders and Gore has faded from the headlines, but he lives on as a legend in a city called Metsburg. A group of teenagers decide to embark on a road trip to the small town in search of the legendry house where Gore lived, but days later their mutilated remains are discovered by the police. There is, however, one survivor - a young girl who goes by the name of Alice. Now a beat cop, William Sanders is called on to the scene of the latest copycat murders based on his experience with the original Gore case. 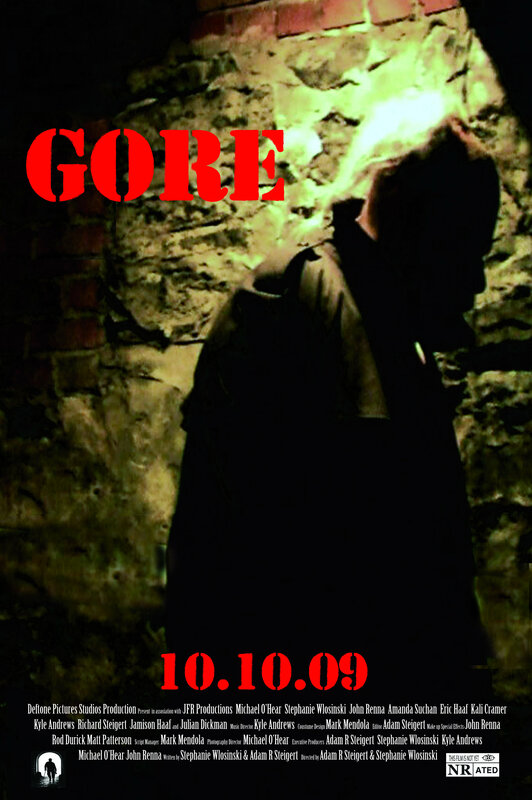 He can'tt stop the idea from forming in his mind that, somehow, Gore - the brutal homicidal maniac - has returned. With nothing more than a hunch to prove Gore is still alive; William will have to put the pieces, or body parts, back together one more time. The unstable Alice has allegedly witnessed the slaughter of her friends. Is this a blessing, or is it a coincidence that is too good to be true? Will William Sanders finally be able to close files and put Gore behind him, or will our hero become just more victims for the man they call Gore?